Publicly traded health insurer stocks took a hit this week amid fears that Medicare for All momentum and the federal government's proposal to nix drug rebates to pharmacy benefit managers could threaten their business models or even their existence. The stock price of the largest publicly traded insurers were all trading down on Friday and for the week, with Anthem taking the biggest hit, falling almost 14%. Meanwhile, the S&P 500 stock index was up. Ana Gupte, managing director at SVB Leerink, said the sell-off is largely driven by news about the proposed changes to drug manufacturer rebates and spread pricing. Lawmakers have also been grilling PBMs in a series of hearings about their role in rising prescription drug prices. The CMS proposal unveiled in January would essentially block drug manufacturer rebates from going to PBMs and health plans that serve Medicare and Medicaid patients, starting next year. The change could squeeze insurer and PBM revenue, though some insurers have been quick to dismiss concerns. "We see it very likely that the HHS proposal to move rebates to the point of sale is implemented Jan 2020," Gupte said in an email. Cigna and UnitedHealth Group each own major PBMs, and insurer Aetna is now owned by CVS Health, which operates one of the largest PBMs, called Caremark. Anthem is slated to launch its in-house PBM in 2020 in collaboration with CVS. Beyond the tumult surrounding the future of PBMs, the latest Medicare for All proposal from Sen. Bernie Sanders, along with the legal challenge to the Affordable Care Act brewing in a Texas federal appeals court, are also contributing to the decline in insurers' share prices, Gupte noted. Sanders' revised Medicare for All legislation, introduced on Wednesday, would largely eliminate private medical insurance—including the employer-sponsored insurance system that serves more than 150 million Americans—and public programs Medicaid and Medicare. Americans would transition into a new universal plan run by the federal government. Most observers doubt that a single-payer health care system would pass in the near term, given the Republican-controlled Senate and White House. Still, momentum for healthcare system reform is growing, and some policy experts and analysts no longer see a big expansion of the role of government programs in healthcare as unrealistic. The impact on health insurers of such an expansion would vary depending on the proposal (there are at least eight) and the type of business mix an insurer serves. 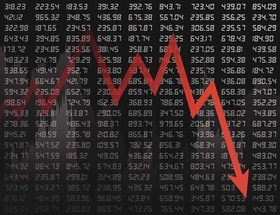 There's an overriding fear or sentiment among investors that's driving the decline in stock prices, said David Windley, managing director at investment firm Jefferies. That's despite the low likelihood of Medicare for All passing or the ACA being tossed out, and the fact that insurers are performing well financially. "If anything, company-specific updates have improved in the last few months and reinforce an environment of enrollment growth (particularly in government books), disciplined pricing, and tame utilizaton," Windley wrote in a research note Friday.